Baltic Sea Lions is a cooperation network of districts of Lions Clubs International around the Baltic Sea. Lions Clubs International is the world’s largest service and humanitarian aid organisation operating in over 200 countries and having about 1,4 million members worldwide. Baltic Sea Lions (BSL) was created to improve communications between the Lions members in various countries around the Baltic Sea and to set up common projects as well as to facilitate delivery of humanitarian aid from one country to another. Common values and interests, be they current and/or historic, create a platform for exchange and cooperation. 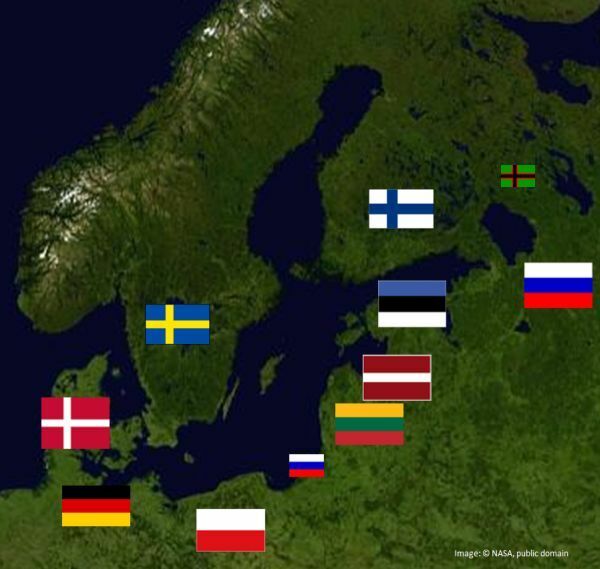 The geopolitical changes of recent years have moved goalposts and created a whole new playing field for the Baltic Sea region. National borders for instance are no longer obstacles to a fruitful exchange of thoughts and activities. Moreover the biggest obstacle often is that one needs to know the right people in the respective countries to be able to get projects started. That’s what the BSL is for. Lions Clubs International is the world's largest humanitarian aid and service organisation with over 1,4 million voluntary members in over 200 countries. Lions work in local clubs with typically 15-50 members in each club. Three to six clubs working nearby form a zone. Two to four zones make a region and two to four regions make a district. There are typically 1250-2000 members in a district. The biggest Lions countries such as Germany, Sweden or Finland have several districts - for example Finland has 14 Lions districts and over 25 000 members in about 950 clubs. Lions clubs work often mostly in local activities helping the poor and supporting their own neighborhoods in many ways, but Lions also have extensive aid programmes to support people in need in developing countries and after disasters such as earthquakes. Our Lions Clubs International Foundation was some years ago ranked as the world's most reliable humanitarian aid organisation. The Baltic Sea Lions network is a loose cooperation formation for keeping contact between Lions districts around the Baltic area to create cooperation, common projects and to enhance friendship across borders. (c) Baltic Sea Lions and PDG Ilkka Siissalo. Powered by the WordPress platform.